(Luxor Box is $175 a box). Check out my Luxor box reviews to learn more about this box! I find it interesting that they can reply to every other comment in this thread, but have nothing to say on this… crickets! I agree. It seems as though Ashleigh has responded to most of the comments except those about subscribers that were grandfathered in (except No longer honoring). I could have canceled and done the Gilt deal(and been better off) but my grandfathered price kept me from doing so. I appreciated the grandfathered price and Luxor respecting those that supported them from the beginning. If they do not offer something, I will finally cancel. Basically they are breaking their agreement. My guess is that because the subscription is changing technically your subscription is over do the life of the subscription is over. Not saying it’s right or anything just saying that might be the explanation. It would be nice if she could answer you. That makes sense but still feel a little let down that the loyalty will not be reciprocated. Looks like I will be looking for a new box. So once my Gilt voucher period ends I will not automatically be charged the renewal but I will have the option to renew myself at the full price if I choose ? Just checking . I purchased a yearly voucher through Gilt and the boxes to be honest have been hit or miss for me but I for one am looking really forward to the remaining boxes now ! Correct, you will not automatically renew. We will alert you when your subscription ends and then you will have the chance to re-subscribe if you’d like to. This is pretty funny but also kinda sad. Luxor’s last ditch attempt to save this box. I’m excited about this! I’ve been slowly coming to the conclusion that I’d rather sub to fewer boxes with fewer, higher quality, higher valued items than a million boxes with a million little things, many of which I often either toss or give away. So this is right in line with the new, Marie Kondo influenced, me! I’m excited to give Luxor a chance. I stupidly dropped OuiPlease right before they turned their ship around (after subscribing to that box for years) so I’m hoping if I actually stick it out with Luxor they’ll knock it out of the park too. Good luck to Ashleigh and her team…we are all rooting for you!! On a personal note, I'm a Marie Kondo fan, too! I’m wondering how the changes will affect those of us who have been subscribers since the first box and are grandfathered in under the original plan rates. Ppl have addressed it in the comments below. No more grandfathered in prices once they go quarterly and your prepaid sub term is over. I haven’t received an email yet from Luxor and I should have two boxes remaining from my Gilt subscription. Hi Kelly! If you still have 2 boxes on your Gilt voucher they will be sent in July and October! Feel free to send us an email so we can make sure you’re on the email list! You can reach out to support [at] luxorbox [dot] com. Thanks! I pay annually. I should have four boxes still owing to me. Will I now receive four quarterly boxes? I am confused. I’ll have to wait and see some spoilers for their next box before I make that kind of investment. I’m impressed they are honoring the Gilt prepaid boxes. When Popsugar went to quarterly and upped their price you did not get box for box for each prepaid box. I had prepaid for 3 boxes at $20 and each had a value of $40 each. So they gave me $120 credit towards future boxes which covered one full box and $45 towards a second box. I did not get 3 boxes at the new higher price. How many times can Luxor reinvent itself? 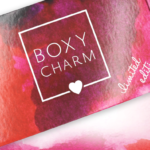 For a younger box, they have made a HUGE number of changes! Every change forgets that there are subscribers who paid ahead and signed up with specific expectations and under specific terms. Run, ladies… someone said it best – $175 is Neiman Marcus territory – and Luxor can’t pull that off on the steady. Hi Marie! We are honoring all prepaid subscriptions based on the number of boxes left, not on the amount paid or value of those boxes. So if someone has 2 boxes left on their prepaid subscription we are still sending 2 boxes, and those subscribers do not have to pay extra or anything like that. We understand that people signed up under certain expectations — we’re doing our best to communicate the changes clearly and we believe the changes are going to be best for the long run. I hope that helps! Just to clarify. You aren’t honoring our automatic bank draft, mearly applying it to the July box? But for those who paid $40ish they will get the box at no additional charge? Yep – this is how it worked for me when I had an annual sub going at a rate of over $750 and then the gilt deal came out and boom – people are getting the same number of boxes for $240. I was LIVID. It made me realize how little the people who were “under contract” were thought about when Luxor “reinvents” itself. Ashleigh, please address my question. The reality is that our boxes are “pre-paid” too. You drafted $ from my account before notification of the change. Will the $95 COVER the July box or be APPLIEd TOWARD the July box? Hi Daisy! Thanks for commenting again — I missed your question yesterday! YES, we are honoring the automatic bank draft! 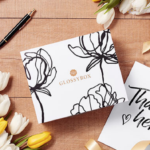 So if you were charged for a May box that will fully cover your July box. And then the new quarterly pricing will go into effect after that. This is very good news to me because I bought an annual membership with the gilt voucher and redeemed it at the last possible time. I still have 3 boxes left. If they are each worth $400+ that will be an incredible value for what I paid! I’m looking forward to seeing the new boxes. Hi Ann! We can’t wait for you to see what’s in store for Luxor Box! Hi Elaine! Wait, you don’t write letters with a gilded pen and gold embossed stationary on a daily basis? (Whilst your butler fetches a hot mug of coffee…) Pish posh! For real — We are grateful for your feedback. We just did a subscriber survey and gathered a lot of valuable information. We’re hopeful that our future boxes will better meet expectations for all of our subscribers. What a snarky reply from Luxor. Hi Susan — I was just trying to lighten the mood a bit. I definitely didn’t mean to offend anyone! I thought it was funny (and cute). They are really going to have to up their game over the next few boxes to tempt anyone to resubscribe after the sad boxes they’ve put out this past year. I feel like the May 2018 box was the last passable box they sent. Yep. Bunch of filler items these past several boxes that I can’t even swap so I’ll end up donating them. Wow, they honored the Gilt deal but not the grandfathered pricing for original subscribers. Way to reward loyal customers. I cancelled. We are honoring the Gilt vouchers because they are prepaid. All of the subscribers with a prepaid subscription/membership will receive the number of boxes they paid for. When it comes time to renew, it will be at the new pricing structure. Unfortunately, we’re not able to keep the original pricing for the individual boxes. I still think that original subscribers should still be offered a discount. I could understand not the $95.00 pricing but at least a nice discount. I may cancel finally if the loyalty (and original terms) are not compensated in some way. The Gilt subscribers seem to be coming out ahead of those that have subscribed from the beginning. We may have not paid ahead but we were consistently supporting Luxor. Yes!!! NOTHING for loyalty, it’s quite discouraging. Not sure why my comment did not post but was curious how they are going to honor those that were grandfathered in at original $95.00. One of the main reasons I kept my subscription going. Wow. Didn’t see that coming. lol Actually, yes I kinda did. The boxes have sunk to new lows lately and I’m kinda thinking that Gilt city deal was a last idtch attempt to hold things together. Hi Carey! We’re looking on the bright side, too! 🙂 We are excited about what’s in store and are working diligently to curate boxes that better align with our subscribers. Liz – Can you find our from Luxor how they will be handling the accounts of the people that purchased one year subscriptions through Gilt? Thank you. WOW, they picked that up fast. We’re in the middle of emailing all subscribers, but we’re sending the emails in batches. The email to Gilt subscribers is just about to go out! But, to answer your question real quick – YES, your boxes will still be honored! And you’re going to get even more value out of them. There will just be a little more time in between shipments since it’s going to be quarterly. The email should start hitting inboxes in 10 minutes or less, so keep an eye on that for details. Then let me know if you have more questions!! Yes, all Gilt vouchers will be honored based on the number of boxes left! If you are a Gilt subscriber, please watch your inbox — your email is customized to voucher use and slightly different than the one MSA published. MSA – thanks for covering this and helping us get the word out! All subscribers have been notified via email, and we’ll have more communication about the new subscription setup coming in the next few months. Well if you have 2 boxes left they will be the May and July boxes andthis change is happening AFTER the July box, right? If you have 2 boxes left on your Gilt voucher they will be shipped in July and October! Never mind, they clarified in the email, no May box but we’ll get the July and October boxes. Hmmm, I’m concerned those boxes might not materialize and the chargeback will be more difficult to get with that amount t of time passing. Take your screen shots ladies. Hi Joy – I can assure you that Luxor Box is here to stay! We are already planning the July box and preparing to place orders for supplies and products. I hope that our open communication and transparency about the changes will give people confidence in our team. I hope so as well. We’ve been let down by other boxes in the past so please understand the context of my cynicism. No May box. Next box is July box and that will be at the higher price. I’d like to sign up. I like Luxor Box (recent box wasn’t my fave but I don’t expect to love every box of any sub). I hope they offer a coupon for the next box. I’d sign up for an annual. Hey there, Zo! Thank you for the feedback and the kind words. This was a long time coming, given the gilt city deal. Sounds like they are trying to reboot, which I’m all for, but it remains to be seen how successful they are. Right now OP is blowing them out of the water, so I can’t imagine what they will put in a box where I’ll be willing to pay $175. That’s a LOT of money. Basically they need to be almost at Neumann Marcus box level. And I just don’t think they will be. My box price has been grandfathered in as I have been a subscriber from the first box. I have sent Luxor an email asking how this will be handled. I have already paid for the May box and their email states to be credited to the next box so am assuming that they are no longer going to honor that. I do hope that they do make some kind of allowance for this. Will see what their response is. One of the reasons I stayed with Luxor was because of that benefit. Hi Connie! We received your email and replied, but I’ll also share here. If your payment for the May box was already processed, we will apply that payment to your July box. This means you get one more box at the original price. Ashleigh, The longer I think about it, I am really ticked that Luxor isn’t honoring the promise made to long standing subscribers! 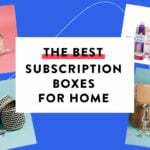 ” AS LONG AS YOU STAY A SUBSCRIBER, YOU WILL CONTINUE TO GET THIS LOW RATE FOR THE LIFE OF YOUR SUBSCRIPTION.” (Taken from subscriptionbox mom, but all blogs have the same wording) We have been loyal subscribers for nearly 4 years!!! I was super tempted by the Gilt deal but didn’t need a second sub and felt like it wasn’t worth throwing away my introductory price of $95 per box, I know I’m not alone. This decision really shows lack of integrity. I 100% agree with this! I emailed to ask if they were going to honor that promise, as I did not want to pay this higher price, and instead, they just canceled my subscription!!! I cannot express how completely disappointed I am in this company, after having been loyal from the very beginning. It’s like they don’t care at all, and that is really a shame. I also agree. I think those of us that were original subscribers were treated very poorly. First by them offering the GILT city deal and this. I think we, along with those who were paying $139 a box were subsidizing the Gilt deal subscribers. I would be interested to know how many original subscribers plan to continue at the new price. I did not and substituted the Ellen box instead. Monica and Jennifer – thank you for sharing your thoughts on this. We understand the frustration of not keeping the original price of the box, which was set about 4 years ago. We’re so grateful you’ve been with LB for that long. The box has changed a lot over time, and with the future plans for the box and the shipping schedule change, we made the decision to adjust the price for everyone. We spent a lot of time deliberating, and feel this is what we need to do. Jennifer, in your email you asked us how to cancel your subscription, so I assumed you wanted to cancel it now. If I misunderstood your request, please reply to us via email so we can sort it out. My apologies for that! Thank you! Ashleigh but your original promise was not “for the life of your subscription as long as it continues to work for us as a company.” You don’t seem to understand why your loyal subscribers are so upset. Moreover. We had the opportunity to purchase the Gilt delas too. I went back and forth as to whether or not to purchase. Finally I decided that I’d rather pay more for a year than forever lose the introductory rate. Now I have egg on my face.